Italian luxury car manufacturer, Maserati was constituted on December 1, 1914. 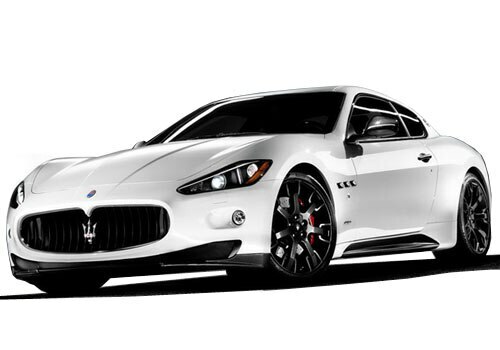 Maserati cars are recognized in the whole world for their high quality luxury cars. Maserati launched Maserati Gran Cabrio in India in the year 2011 and the company tagged the price of this gorgeous car at Rs 1,42,99.000 (ex-showroom, New Delhi). Maserati Gran Cabrio is the first four seater convertible car from Maserati which looks absolutely stunning. Maserati Gran Cabrio comes with 4691cc engine which churns out the maximum power of 7000rpm and maximum torque of 490Nm (50kgm). This spectacular Gran Cabrio is equipped with a powerful 4.7 litre V8 engine. Fuel consumption of this 6 speed Automobile in urban cycle is 11.8 mpg whereas in combined cycle is 18.3 mpg. The weight of Maserati Gran Cabrio is quite less which make it more fuel efficient in comparison to its close rivalry cars. If we talk about the acceleration of this Gran Cabrio, it goes 0-60 mph in 5.2 seconds with a top speed of 176-mph. There is no doubt that this speedster is giving touch competition to its rivals like Jaguar XKR convertible, BMW M6 convertible and Mercedes-Benz e500 cabriolet. The metallic paint on the front grille of Maserati Gran Cabrio makes it look classy and elegant in appearance. Maserati Gran Cabrio interior is layered with finest Italian leather. This amazing car has the capacity to accommodate four passengers with absolute comfort. Maserati Gran Cabrio is loaded with exquisite accessories and astounding sound system. Maserati is producing only petrol cars wherein the trend for diesel cars is ever growing currently due to rising prices so it can be expected from the Italian car giant to produce diesel cars in coming years. Well in the list of upcoming cars Maserati would launch Maserati Kubang which is expected to be launched in April 2015 in the global market. On the other hand, several SUVs like Tata Safari Storme, Renault Duster, New Chevrolet Captiva and Premier Rio Diesel along with a few sedans such as New Hyundai Elantra, BMW 3 Series and Volkswagen Jetta petrol are going to be launched very soon in the country. I shared that Honda to Bring Hi-Tech Innovative System to Deal With the Great Indian Traffic and Is Everything Fair in LUV Ertiga?